Model 3 sales may be speeding up. But Tesla’s stock and bonds slumped after another lawsuit, the exit of its top accountant and HR boss, and the CEO’s pot-smoking podcast appearance. It all makes Musk’s goals less convincing, and needed capital more costly to raise. Flags fly over the Tesla Inc. Gigafactory 2, which is also known as RiverBend, a joint venture with Panasonic to produce solar panels and roof tiles in Buffalo, New York, U.S., August 2, 2018. 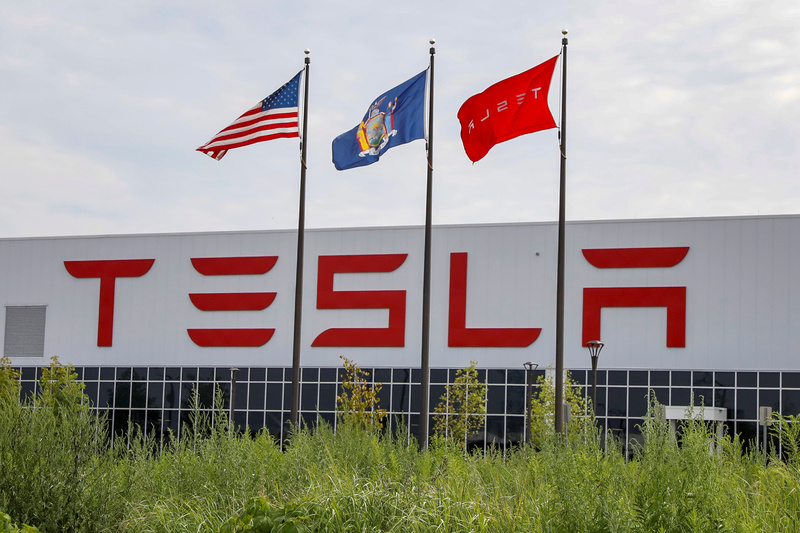 Shares in Tesla fell as much as 10 percent in early trading on Sept. 7 after the company said in a regulatory filing that Chief Accounting Officer Dave Morton had resigned three days earlier. Morton’s first day at Tesla was Aug. 6, a day before Chief Executive Elon Musk tweeted that he was considering taking the company private. Tesla Chief People Officer Gaby Toledano is also leaving the company, Bloomberg reported on Sept. 7. She had taken a leave of absence a month earlier. On Sept. 6 Elon Musk spent 2.5 hours on a live web show with comedian Joe Rogan, on which he took a puff on a joint and drank whisky. Tesla may have sold 14,250 Model 3s in July and 17,800 of them in August, estimated Inside EVs website on Sept. 5. That compares with more than 6,000 in each of the two previous months.